I saw a request for a light box tutorial online and had no idea how to make one. Luckily, my good friend is the owner of Blue Amrich Studio, a pet and equine photography business. She came over and helped me make this! If you like this tutorial please stop by the the Facebook page for Blue Amrich Studio and give her a like or two. 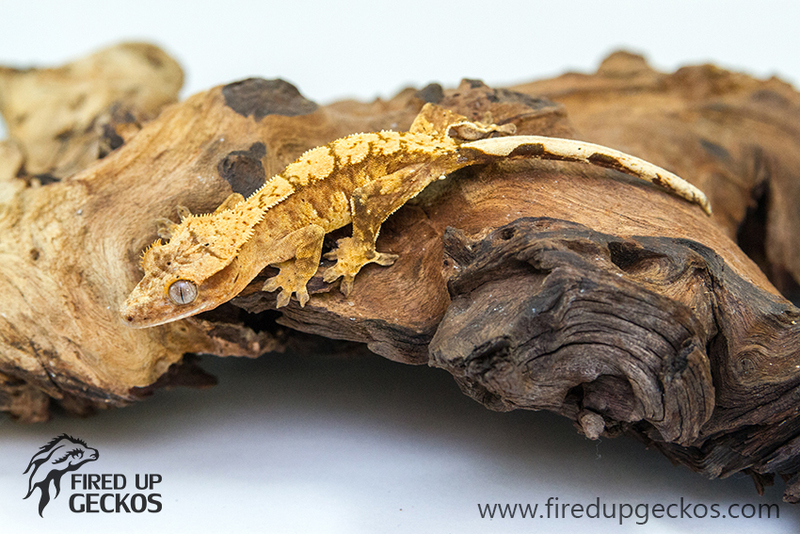 Blue’s tip: Lightboxes help make your photos look better by giving you soft, even light all around the gecko. You won’t have any more harsh shadows or ugly flash! 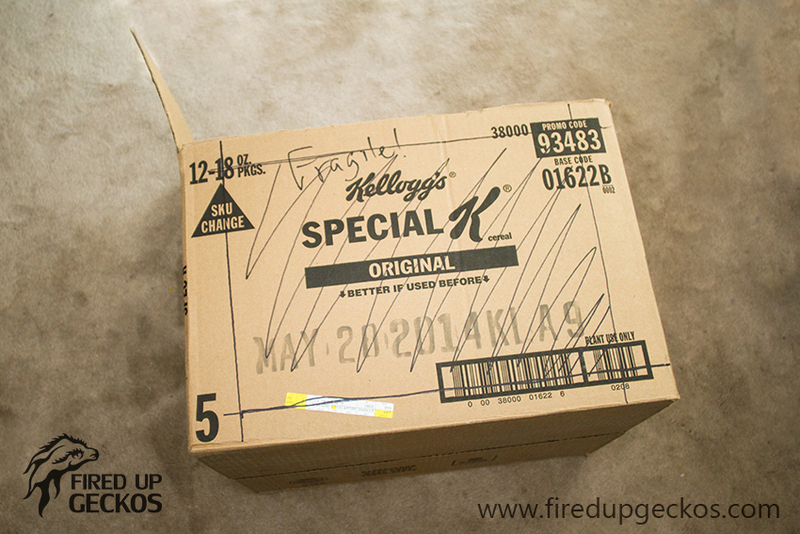 First you’ll need to acquire a decent sized cardboard box. This one came out of a recycling bin. 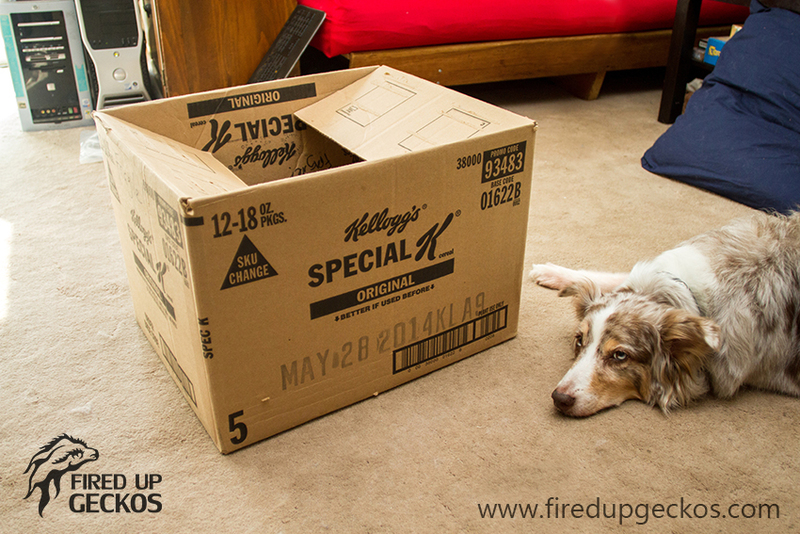 The dog is not convinced that there is anything exciting about a cardboard box, but I swear there is! Cut the top and bottom flaps off. I left the side flaps because you can use them to either block out unwanted light or to block the escape path of a gecko. 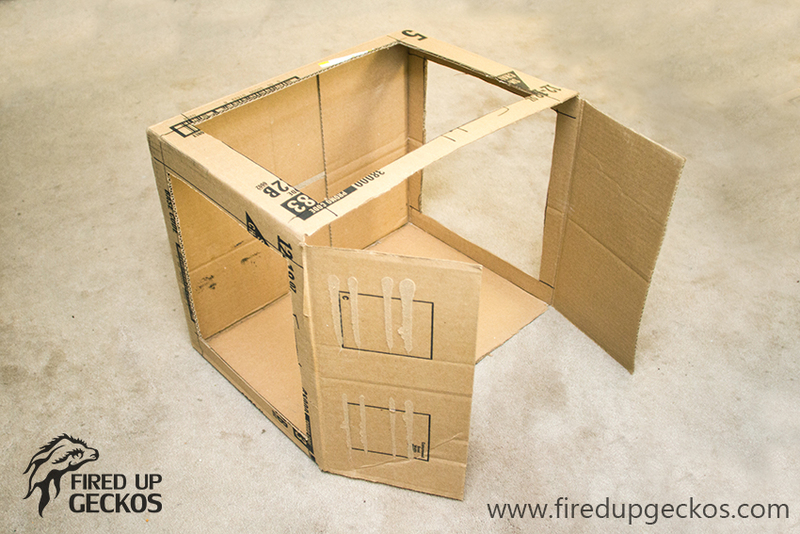 Cut out the top, the right side, and the left side of the box with a utility knife. We drew out the rectangle first so we’d know where to cut. Attach a piece of white cloth over the three holes that were cut into the box. It’s important to use white cloth so the color of the photos isn’t influenced by the color of the cloth. Blue’s tip: The fabric needs to be pretty thin because you’ll eventually be shining a light through it. An old bedsheet would work as long as it’s pure white (not off white). It doesn’t need to be perfect, so simply taping it on with duct tape works great. In order to achieve a seamless background in the photos, place a large piece of paper or poster board inside the light box. The paper should curve slightly and be lightly taped to the light box itself. Blue’s Tip: I used white but you could actually use any color paper you’d like for the background. 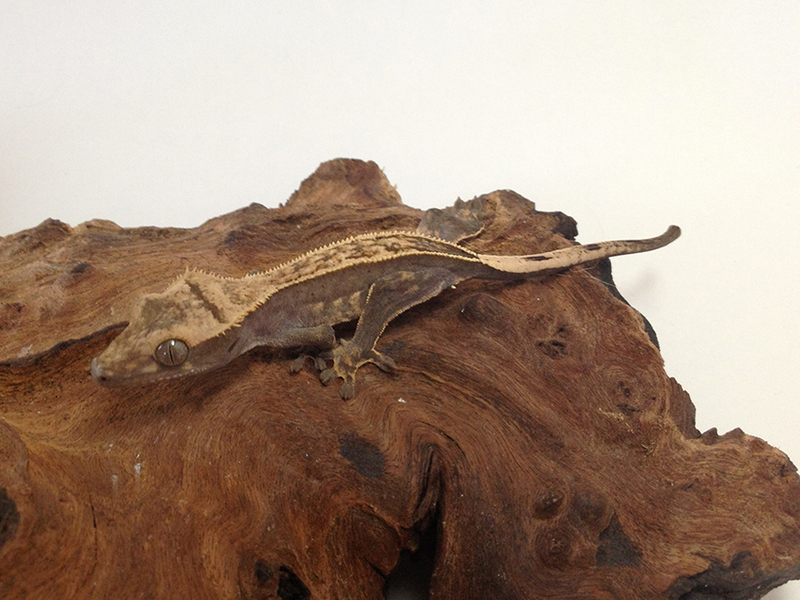 Light reflects off of surfaces, so if you are trying to accurately photograph the color of the gecko, stick to neutral colors for the background (white, black, gray, off-white). 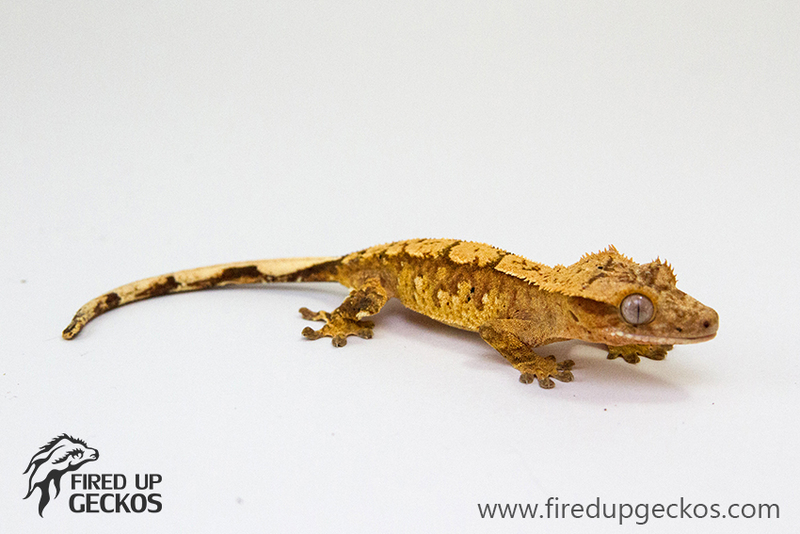 Using a bright color, such as red, could affect the color of the gecko in your photo. If you’re just taking photos for fun, go crazy and use whatever color you’d like! Get two lamps and place them on either side of the light box. You want them outside of the box, shining through the fabric. It’s important to make sure you have the same kind of lightbulb in each lamp. This will ensure a consistent color lighting in the photos. The lights can be placed on the left and right side or one on a side and one on the top. 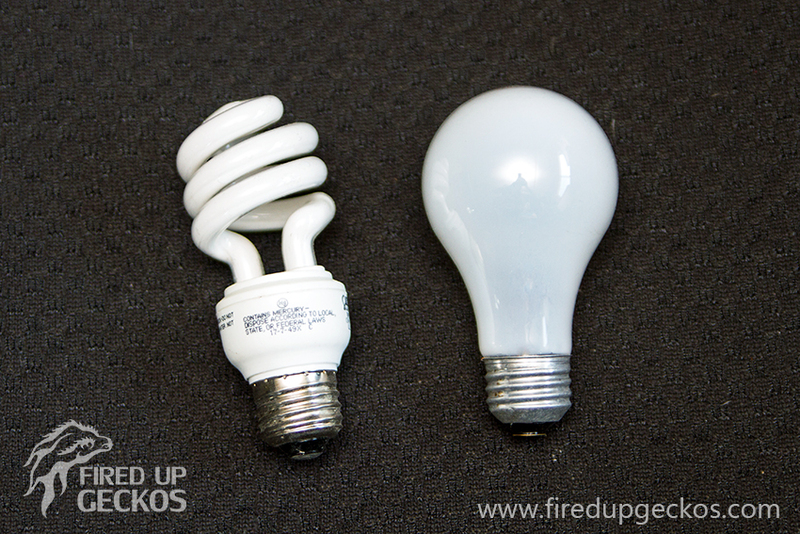 Blue’s Tip: If you’re using more than one light, it’s very important to make sure that both lightbulbs are the same. Different types of lightbulbs will produce different color light (some are more blue and some are more yellow). The two lightbulbs below can not be used together because they are actually two different colors of light. Blue’s Tip: Make sure that you place your lights closer to the front of the box and keep the gecko either in the middle or closer to the back. I always take a few test photos while I’m setting up the lights to make sure everything looks good. I like to use a gecko-size toy while I’m setting up so I don’t have to worry about a moving gecko when I’m trying to get the lights working right. 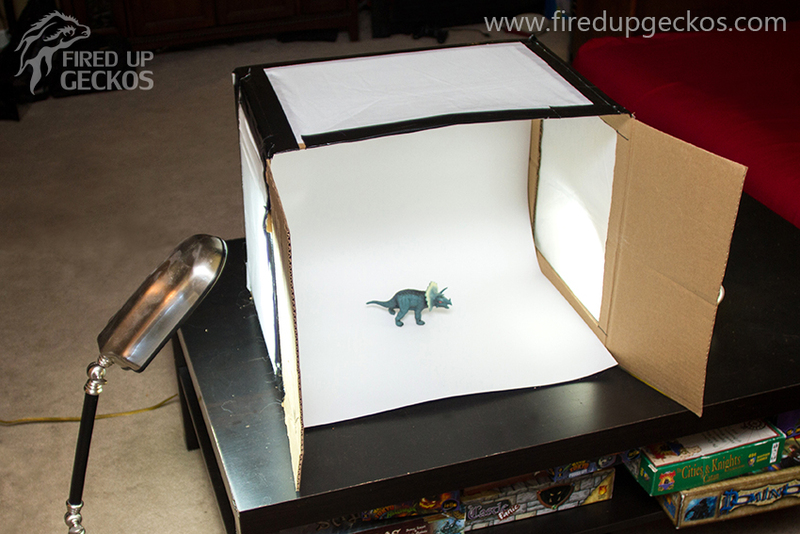 Triceratops makes a great subject for a few test photos! All done! 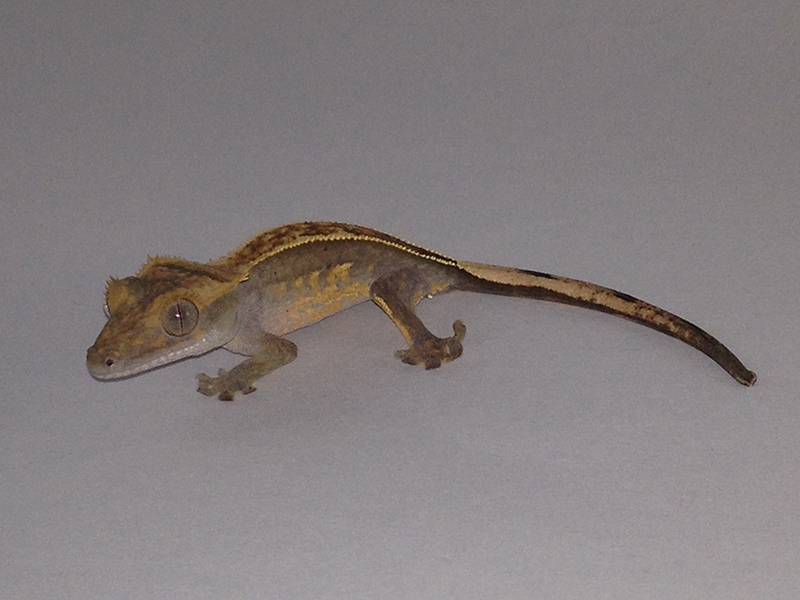 Let’s photograph some geckos! Lightboxes help phone photos look more professional. This first photo is with an iPhone 4s with the flash turned on and no lightbox. See how the bright flash washes out the color on Ash’s side? The next photos is with an iPhone 4s (with the camera’s flash turned off) with light box. You don’t need a fancy camera to get a good photo of your gecko! Blue’s Tip: All cameras try to balance the light for a middle gray to capture the correct exposure. This can be a problem if you have a lot of white in the photo because the camera will want to underexpose making the white appear gray (like you see in the first iPhone photo with no lightbox. Ash was on a white background, but it looks gray). A good solution is to make sure that the majority of your photo is a color other than white. I added a piece of mopani wood for Ash to stand on and that helped the camera get the correct exposure. See how the background is white instead of gray in the second iPhone photo? Here are a few more test shots using the light box. These are using Blue’s dSLR camera. 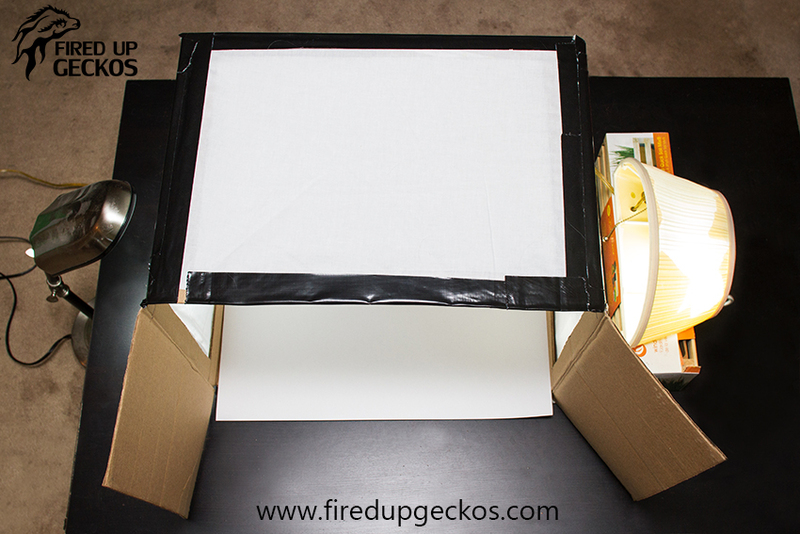 Lightboxes are great for any camera!